Got a grilling enthusiast to buy for? 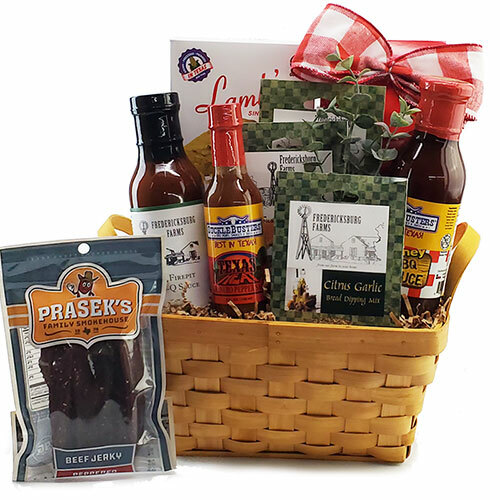 Whether they are a novice or a Grill Master, this exceptional gift arrives with an inviting collection of savory barbecue sauces and rubs, complete with a grilling plank and apron. They’ll be chompin at the bit to fire up the Barb-e!